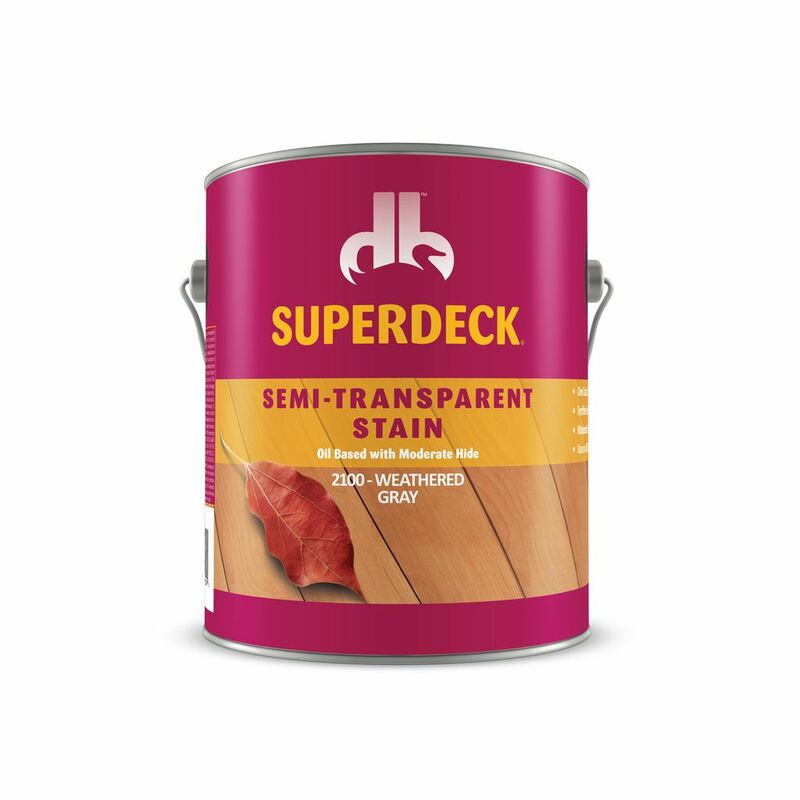 Long-lasting penetrating oil-based formula protects the beauty of wood with a rich semi-transparent stain. Scuff-resistant formula with maximum UV protection that resists fading. Waterproofs to prevent moisture damage. – Sherwin Williams DeckScapes in the oil formula penetrated much better than their waterborne version. Application of the stain was decent and the color of the Cedar bark was a brown cedar. After drying a day, the stain looked blotchy in appearance. We applied a light second coat to even out the look. 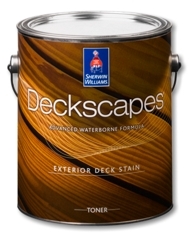 – 2 years later the Sherwin Williams DeckScapes lost about 30% of its original color. 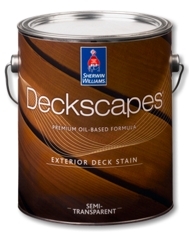 – The Oil based version of the Deckscapes is definitely an improvement over the water version. The oil penetrates deep into the wood. This resulted in average wear and tear on our test deck.